Sunday is the 70th anniversary of the 1948 foundation of the Democratic People's Republic of Korea, as the North is officially known, three years after Moscow and Washington divided the peninsula between them in the closing days of the Second World War. Such set-piece dates are a mainstay of the North's political calendar, particularly when round numbers are involved, and have traditionally been occasions for showing off its latest hardware. "Anniversaries are important in the DPRK, and this one is particularly so," said Evans Revere of the Brookings Institution think-tank in Washington. The displays -- overseen by leader Kim Jong Un, the third member of his family to rule the country -- are crucial to Korea-watchers, who observe them closely for clues about its latest advances. First, companies of soldiers goose-step through Kim Il Sung Square, then the material becomes steadily more intimidating, with tanks rolling past and aircraft flying overhead, until the programme culminates with intercontinental ballistic missiles. "If they show off ICBMs it will be a massive provocation and it will be a slap in the face for the United States," said Andrei Lankov of Korea Risk Group. He did not expect the North to do so, particularly as it would put the visiting Chinese delegation in the difficult position of appearing to endorse the weapons programmes that have seen Pyongyang subjected to multiple international sanctions. There was speculation that Xi might reciprocate for the anniversary -- Hu Jintao was the last Chinese president to visit in 2005, and the then premier Wen Jiabao followed suit in 2009. Xi's decision not to go, but still send a senior envoy, may be calculated to show backing for Pyongyang while not antagonising Trump as China and the US are embroiled in a trade dispute. And French actor Gerard Depardieu is also in Pyongyang. 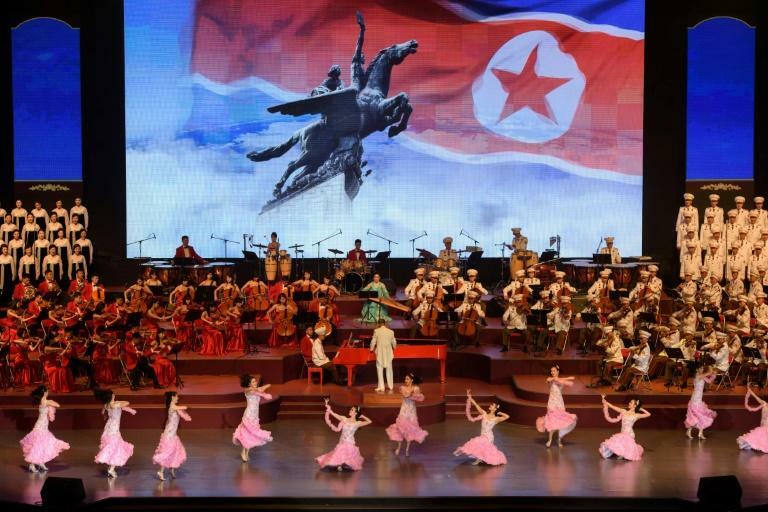 The content of the parade would be key, John Delury of Yonsei University in Seoul told AFP. In April Kim declared that the North's development of nuclear weapons had been completed and "socialist economic construction" would be the new strategic priority. "It'll be interesting to see if Kim Jong Un does try to change the symbolism, change the message to essentially diminish the militaristic message and enhance the economic message," Delury said. "That's what I'm watching for anyway."